Of the estimated 6 million people globally who die each year from tobacco, more than 1 million live in India. 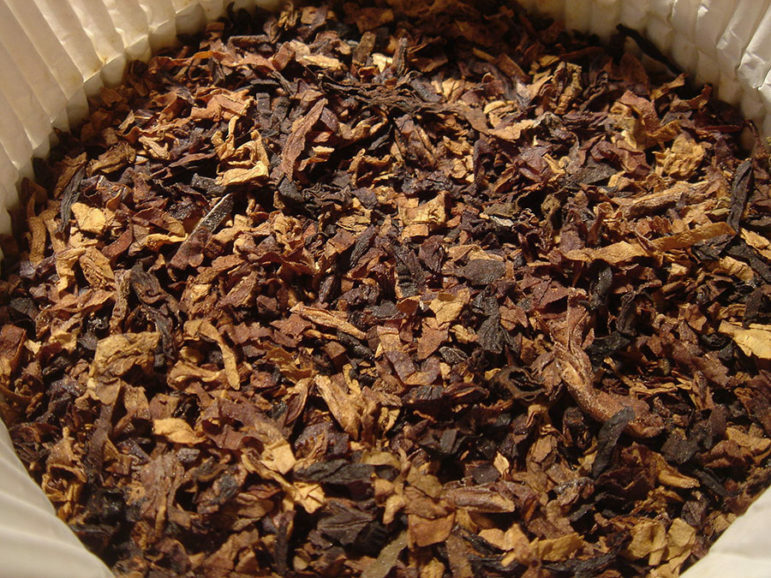 The World Health Organization (WHO) estimates that tobacco-related diseases cost India $16 billion annually. Last week, Reuters reported on how the $11 billion tobacco industry in India (the third-largest tobacco producer in the world) has been pressuring the Indian government into resisting “unreasonable and impractical” proposals at the WHO Framework Convention on Tobacco Control (FCTC) conference to be held in New Delhi from November 7th to the 12th. Reuters updates their report with news that India just reaffirmed its commitment to the WHO tobacco-control treaty, of which it is a party. Half-page notices published in several newspapers by India’s health ministry stated, “India reiterates its commitment to the full implementation of WHO FCTC.” To drive the point home, the notices included a picture of Prime Minister Narendra Modi. The FCTC is a treaty by the 56th World Health Assembly in 2003, signed by 168 countries and legally binding in 180 ratifying countries, and in force since 2005. It was one of the most quickly ratified treaties in UN history. It seeks “to protect present and future generations from the devastating health, social, environmental and economic consequences of tobacco consumption and exposure to tobacco smoke” by enacting a set of universal standards stating the dangers of tobacco and limiting its use in all forms worldwide. The FCTC was a significant breakthrough in achieving international public health goals and marked one of the first multilateral, binding agreements regarding a chronic, non-communicable disease. Reuters reports that the decisions made at this FCTC conference in early November will directly impact the global $784 billion global tobacco industry, with nearly 80 percent of revenue coming from smokers living in low- and middle-income countries. The WHO considers tobacco use to be an epidemic, “one of the biggest public health threats the world has ever faced.” Despite everything, the unyielding tobacco industry thrives. In the years-long RICO case against U.S. cigarette manufacturers, the Department of Justice asked that these companies be required to add two statements to the already required warning labels: “an announcement that a federal court has ruled that they ‘deliberately deceived the American public’ about the dangers of cigarettes; and a declaration that they ‘intentionally designed cigarettes’ to maximize addiction.” The U.S. Court of Appeals for the District of Columbia Circuit held that the court did not have the authority. But what about the courts and governments in low- and middle-income countries? No wonder the FCTC was one of the most quickly ratified treaties in UN history. Here is a summary of what is at stake at the conference to be held in New Delhi is a few days. Tobacco use is the number one cause of preventable death in the United States and around the world. Tobacco killed one hundred million people worldwide in the 20th century — and if current trends continue, it will kill one billion people in the 21st century. Every year, tobacco kills more than 480,000 Americans and six million people worldwide. The vast majority started smoking as children. The International Labour Organization is facing pressure to cut ties with Big Tobacco, but advocates fear that they will once again reach a behind-the-scenes deal to continue receiving program funding from the industry. The partnership undermines the ILO’s principles and is as disingenuous to its supporters as it is disadvantageous to its workers.